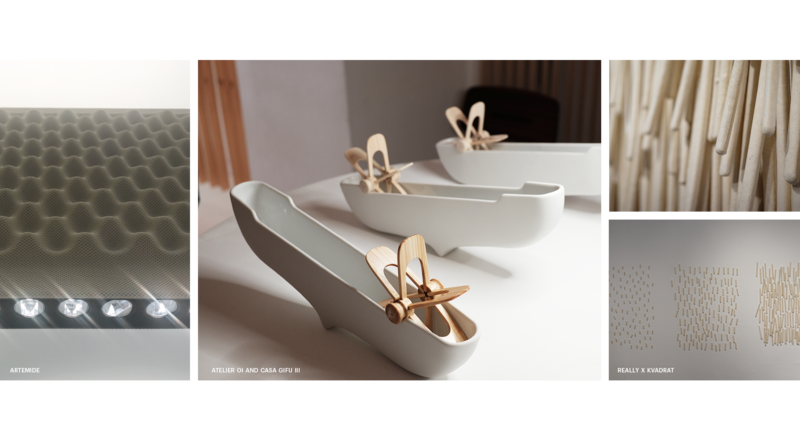 Sara is an Industrial Designer at Design Partners, focusing on consumer design category. With past-experience in textile and fashion design, she specializes in Colour, Finishes and Trends Forecasting. Her inspirations come from little things of everyday life and a very keen observation of people, architectures, cultures, and traditions. Her vision aims to use design as a powerful tool for creating solutions, telling stories and improving experiences in people's lives. Norman is a senior design consultant and lead in strategy & research. He has worked for global clients in consumer, industrial and healthcare sectors for over 12 years gaining design recognition including Red Dot, IF and Good Design awards. He holds a doctorate in design research from Loughborough University, where he also lectured in design practice. His role at Design Partners includes portfolio, project and client management, in addition to leading design research and strategy capabilities. Kyungil is an industrial designer working in the consumer category at Design Partners and has designed multiple lifestyle products, security products and smart wearable devices. He is a multi-disciplinary designer with experience from mechanical engineering to product planning to industrial design. He aims to rationalise the core product value and to create design solutions based on it. Kyungil enjoys lateral thinking and collection of insights and ideas that he believes fuel the creative engine. Each April Italy plays host to one of the biggest and most significant design events of the year – Milan Design Week. 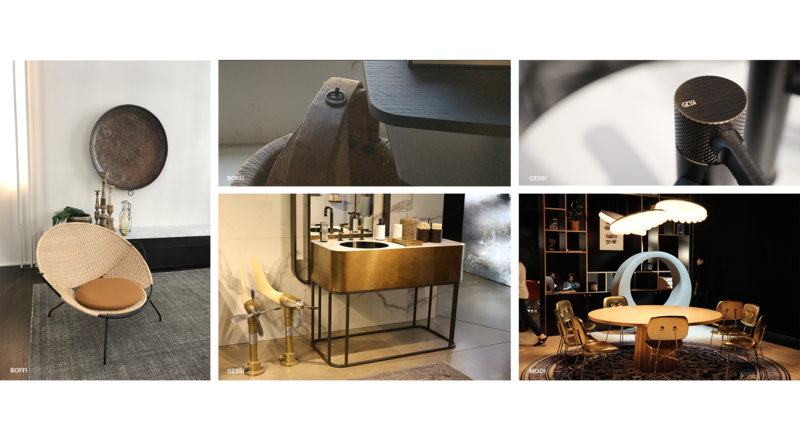 From April 17th to 22nd, it once again showcased a fascinating mix of artefact, interior, experience and furniture design explorations from global brands, new young talent and everything in between. Three members of the Design Partners team were on the ground soaking up the inspiration. 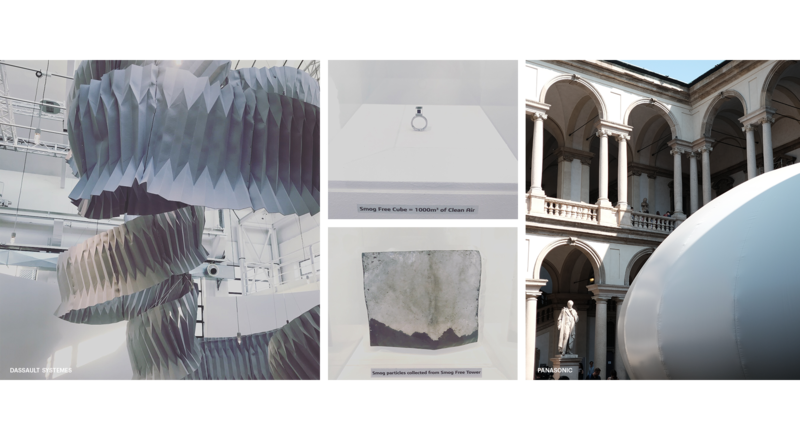 Here are some of their highlights and take-aways from across the design districts of sunny Milan. We’ve seen a growing attention on wellness over the last few years, and at Milan Design Week this was also evident with a number of exhibits supporting healthier lifestyles and environments. Panasonic’s ‘Air Inventions’ was one of the most striking (and won the best technology award to boot) Consisting of a soundscape and projection show housed in a large air dome, it presented a proprietary technology that purifies the air and creates nano-particles of water to remove odours and inhibit allergens in fabrics. In a similar vein, Dassault Systemes exhibited a large spiralling installation, designed by Kengo Kuma, constructed from pollution absorbing material to create cleaner air in the environ around it. Noise was also a topic of attention both at the main Salone and in fringe exhibits such as that from Artemide, who displayed lighting solutions incorporated into colourful sound-absorbing ‘Eggboard’ panels. Olfactory too gained interest with designers creating new offerings around scent and essential oils. Alessi launched a range of fragrances for the home by Marcel Wanders constructed around the four seasons plus a mysterious and sensual fifth season. One object among our favourites was a tipping essential oil bath by Atelier Oï, which presented a beautifully playful way to add scent to a room. At CES and other consumer shows, we’re used to seeing exhibits that boldly express innovative technologies (sometimes at the expense of the actual product experience) Among the exhibitors at Milan, however, there was a more subtle and unobtrusive use of technology. 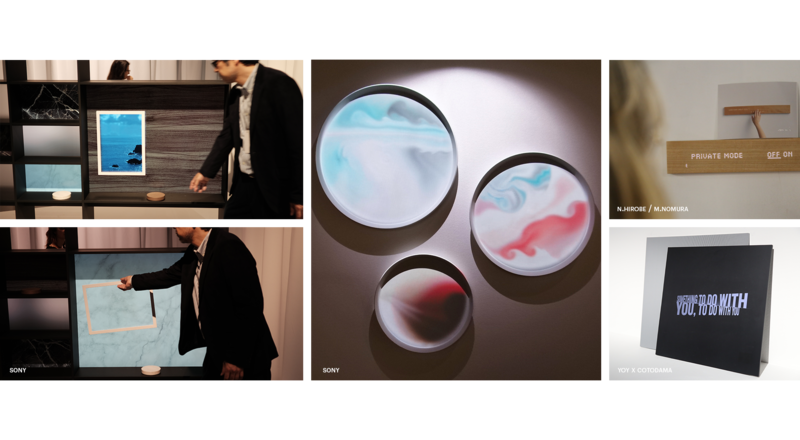 Sony’s ‘Hidden Senses’ exhibition contained five case studies that were prime examples of this. Gesture interfaces and projectors created novel and playful interactions. In one instance, the back wall of a bookcase hid a UHD screen that displayed the texture of a block of marble or wood placed in its proximity. When an empty picture frame was attached anywhere on the screen it displayed an image within its confines. Another beautiful example of integrated technology was the ‘Lyric Speaker’ by Yoy for Cotodama which visualised the song lyrics as they played from the minimal art form speaker. Another interesting observation is a growth in what could be called ‘mass uniqueness’ – where the design celebrates the varying outcomes inherent in the processes or materials being used. An example of this was the ‘Press Tiles’ by Japanese firm Nendo, which were formed by flattening balls or blocks of clay to form organic shapes with natural irregularity. A more overt version of this thinking were the vases by Dutch designer Nick Boers who uses a machine to randomly distort base forms to create unique pieces. In other cases, we saw designers embrace the random uniqueness of the material choices and finishes they used. One beautiful example of this was the work by Othmar Prenner (Dingeundursachen.de) shown in Brera district. Among the multitude of materials and finishes on display this year, one approach that stood out was the referencing of antique objects to inspire new finishes. This was found in abundance at the Boffi and Gessi exhibition, where carefully selected vintage objects were displayed with pristine aesthetic to support the new product proposals. In other exhibits, the original inspiration piece was shown alongside the new finishes, demonstrating the direct translation from old to new. The objects used inspired rich patinas, corroded finishes, and rusted textures, often presenting a strongly masculine aesthetic. Beyond CMF, retro nostalgia was also seen in furniture designs, such as at the Revised and elaborate Moooi exhibits. It was great to see an abundance of newer manufacturing methods such as 3d printing and CNC milling among the exhibits in Milan. Some of our favourite applications were the 3D printed titanium jewelry from Fado Studio which was both beautiful and intriguing in how the forms were enabled by the process. Another was Nendo’s impressive ‘Four-Layer Vase’ for Wakazono which employed careful multi-axis milling to reduce a 100kg aluminium block into an intricate 15Kg vase with two overlapping patterns visible at different angles. The ‘Ze-Knit’ collection of digitally knitted urban apparel by Napapijri demonstrated exciting possibilities for garments where weaves could vary in different areas of the same fabric to offer performance advantages or varying textures. 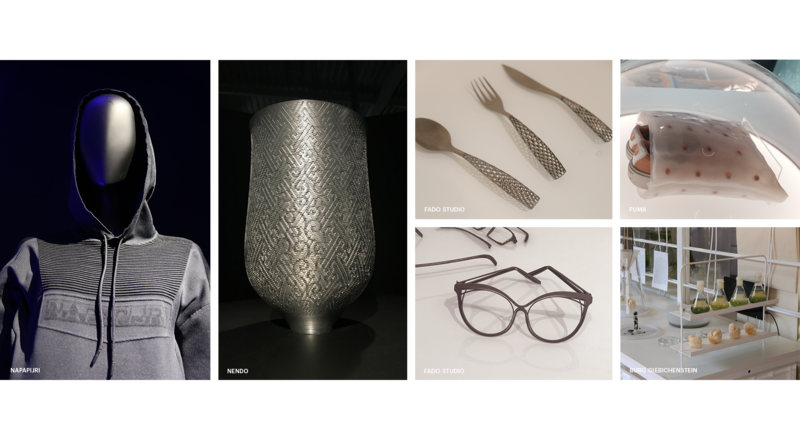 There was also exciting examples of 3D-printed concrete, including a house by engineering firm Arup and a chaise longue by Philipp Aduatz and Incremental3d. In addition, we saw interesting applications of biotechnology by the likes of Puma in partnership with MIT Design Lab, who proposed sportswear and packaging solutions incorporating algae to adapt performance. Also on display were experiments by Burg Giebichenstein University of Art and Design who investigated the use of algae in the production of a range of artefacts. 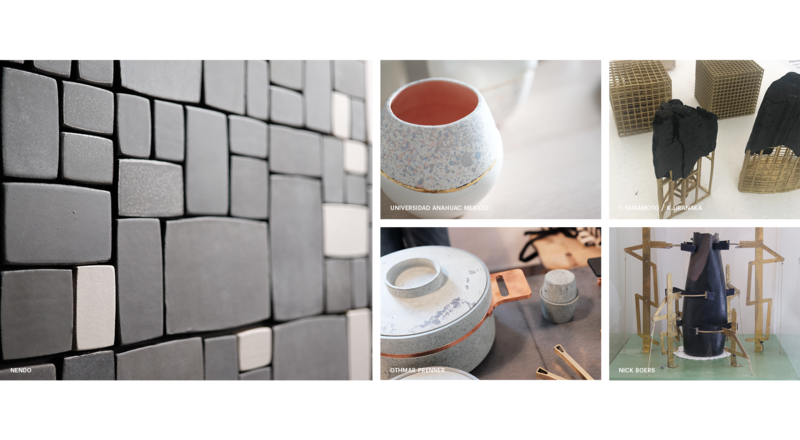 Milan Design Week 2018 engaged the senses with an eclectic mix of design. 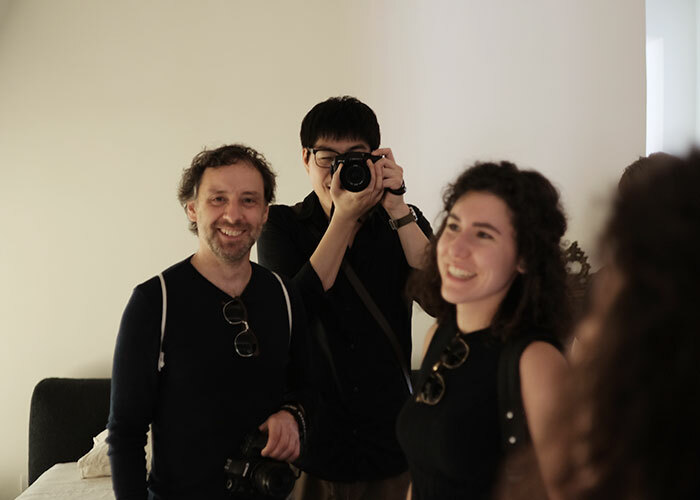 Visual, tactile, auditory and olfactory qualities were all richly explored, and our time in Milan has left us further inspired to create new and exciting multisensory user experiences.